What's your recommendation for a first date with a German girl? Do you pay or it's just against feminism ? Where you take a girl? I'm going out with this girl that I really like and I don't want to make it wired at all, it's kind of one life chance. A guy dates the girl of his dreams. He’s insecure, he’s aiming to be perfect: “it’s kind of a one life chance” and he doesn’t want to miss it. The dating game is hard enough, even when you know the ‘rules', so no surprise that this guy is asking for advices. Knowing some of the cultural differences – who is supposed to pay for the date, who makes the first move, kissing on a first date, how soon to call after a date – may help you avoid awkward situations, or at least stop you from getting hurt or hurting someone else unintentionally. "If you listened to her during the date, by paying time you'll have a pretty good idea what kind of person she is in that regard. Also, it's not about pleasing someone's expectations, it's about finding someone with whom you're compatible. You shouldn't have to "choose your act". "If you are a real gentleman and you feel the end of the date is there you excuse yourself and go to "the toilet". You go to toilet and on your way back you also pay. Then when you guys leave and the "paying situation" comes up you can say "don't worry I got it" and you leave! " "You reach your pockets to pay first. If she insists that she'd want to pay, tell her that you're taking care of this round and she can buy you the next. Both the parties are happy. If its the whole date, you gonna pay for; ask her to take care of the second date expenses! so for sure you're landing another date! " In Germany and in the rest of Europe, people don't tend to go on "dates" with complete strangers, as you might in the US, but instead often they get to date someone who's already in their circle or the friend of a friend, and then it "just happens" and they decide to go out together alone. 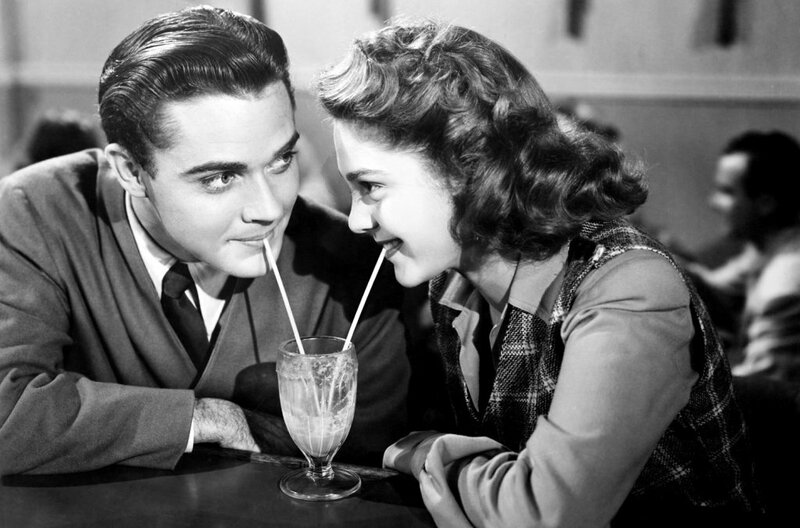 So, getting to know someone romantically is far more casual: walks in the afternoon/evening which may be followed by an informal drink at a café or a bite to eat at lunchtime, or meeting up in a group with friends is not uncommon. After a series of informal meetings – walks, dinner, cinema, theatre – the "two friends" might start being seen as a "couple". It's like friends-turned-lovers...but be careful! It's easy to get friendzoned if your behaviour is too much just like a friend-friend! "In the winters stay indoors, stay warm. I'd take a girl to a bowling alley first, and then for a couple of drinks later. Or go bouldering and food and drinks later. Whatever works! Ask what might be interesting for her." "As long as it's not raining, going for a walk is nice as it is very relaxing, you can get "warmed up" and lose your nervousness - that goes for both you and her. Of course you can ask her beforehand if a walk and then dinner is fine for her or if there's anything particular she might want to do and that you're open to suggestions. For dinner chose a cozy place that fits your budget. I would ask before the date though what type of food she likes and if there's a favorite place she might want to go to. Relax, be yourself and enjoy the moment without worrying too much if there will be a second date or not. If she likes you, there will be. " "Good places for a first date is anywhere you can talk. Art exibitions are cool if you're both into art. Don't go and watch a movie. Don't invite her to a fancy restaurant on the first date. Don't make her feel obliged afterwards. Don't try to "buy" her with stuff. How's about a picnic with lots of blankets? Just be original, have fun, talk to her." "Is there a restaurant where you often go? A place where the waiter already knows you? Bringing her there would mean to show her a piece of your life, it's more than just getting some food. If there is a place you always wanted to try but never did, you can ask her if it's okay to just go there and try. Tell why you would like to try this place and that you cannot promise perfect quality - that would be something like a mini adventure. Or if you know her favorite food/dish, search and ask for the best place in town to ear that special dish. That would show her that you listened and care for her taste. You could also combine those, saying I have 2 (or 3) ideas, which would you choose? " "Bro, first of all do not think that its a life time chance. I am sure about that. Be yourself (not a pleaser) and have fun. It is more important. Go to a place where you guys can talk easily,may be a comparatively peaceful bar. Visit the place in advance or go to a place you have already visited. No cinema and no dinner. Chill, tease(not in a creepy way) and enjoy." Well, you can respect all the dating game rules but how the dating, and hopefully the relationship will develop, depends on who you both are and the chemistry between you. If you like each other, you'll probably find a way to make it work, regardless of any cultural variations.